The sad news of Günter Mosler’s (GüMo) death on September 13th has shocked his many friends and colleagues around the globe. 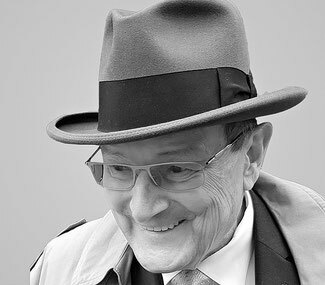 The German aviation industry loses one of its most active and colourful members who’s love for wearing various forms of headwear made him easy to spot at the many events he attended over the years. Günter was born in Ratibor, Germany, which is now located in Poland, on January 14th, 1934, but at an early age his family relocated to Frankfurt where he finished his schooling before deciding to move into the freight business. After absolving his apprenticeship as a freight agent, he worked for agent Rhenus from 1951 to 1954. He then made a spontaneous decision to move to South America where he worked for three years in Maracaibo, Venezuela, as Ships-Dispatcher for H.L. Boulton before relocating back to Frankfurt. It was this move which determined Günter’s future in the air cargo industry. GüMo’s air cargo career started in April 1957 in Frankfurt with Aerolineas Argentinas, from there on he moved to Lufthansa where he also held the position as Cargo Sales Manager FRA. I personally had the pleasure of working alongside GüMo at Trans World Airlines (TWA) in the late sixties when he was employed as Manager Cargo Sales & Services for Germany. Then followed a short intermezzo with Impex and Happy Lloyd before he decided to branch out on his own as an air freight consultant and author. He was active in this field until his official retirement in 2010, although he never lost contact afterwards with the industry. 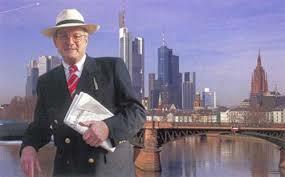 He worked with the TransportMarkt magazine for 20 years before it ceased in 2001 and his famous critical, factual and humorous ‘GüMo’s Corner’ column was read eagerly by many. He was one of the original members of the German Air Cargo Club (ACD), which he joined in 1969 and was for many years a board member and as of 2002 was elected as an honorary member. GüMo was a tall guy - measuring 1.93 metres, and it was as a young man that he decided to wear a hat as he thought that this would not make him look so tall. This brought upon a passion in Günter for various forms of headwear and his hobby enabled him to collect (and wear) around 100 different hats as well as collecting almost 150 other forms of exotic and colourful headwear. GüMo was well liked and respected by all he met and his engagement and interest in the air cargo scene was second-to-none. GüMo was 84 years old when he passed away and our thoughts go out to his family. He will be sorely missed by all who had the pleasure of knowing him.